A company’s marketing or advertising campaign has the power to evoke many feelings in their target audience. Obviously, it always goes for a positive impact, but as was seen in the infamous Pepsi ad, it can generate dislike among the consumers or potential customers if not done right. The ad showed model Kendall Jenner offering a Pepsi can to a police officer during a protest and though it was meant to portray harmony, many interpreted it as belittling protests held against racism. Thus, no matter the size of the brand, you need to be smart in the way you plan and execute the marketing strategy. The face of marketing has evolved significantly over time, making it extremely tricky for marketers to navigate it successfully. As the conventional methods of marketing such as billboards and newspapers decrease in significance, digital media marketing has gained dominance and is evidently here to stay. Content marketing using blog posts and articles, social media, and pay-per-click marketing are just some aspects of the spectrum of digital media marketing. To make their brand known, businesses need to have a firm grip on digital media marketing, with one such strategy being to incorporate affiliate marketing into their campaigns. To invest in affiliate marketing, you need to have a clear understanding of what exactly it is, something which most marketers don’t often have. Affiliate marketing consists of a relationship between you (the advertiser or merchant), a publisher, and your potential clients. If you have a product or service which you want to advertise, you invest in an affiliate marketer or publisher who will do this for you, eventually getting you more sales and customers. The affiliate marketer can advertise your brand using multiple methods. If they have a significant social media presence, for example, they can talk about your brand and its products or services on their Facebook page or Instagram account, thus generating traffic to your website. Another method is by using content marketing such as blog posts and articles which review or talk about your products. Again, this gets your brand the attention it needs to boost sales. 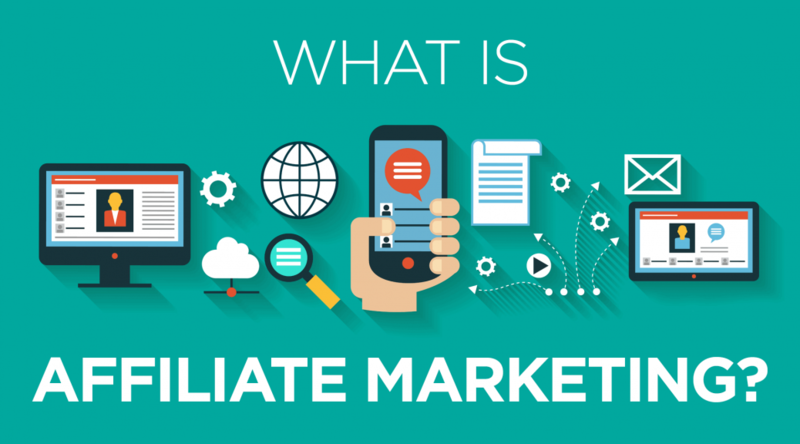 Before deciding on an affiliate marketer, however, evaluate all the options available to you thoroughly – there will be a multitude of possibilities, ranging from an individual who runs a blog to a company specializing in affiliate marketing. The ultimate purpose, of course, is to generate sales. And using this mode of advertisement to do so can be extremely effective if done right. If someone tells us about a certain movie or a book, there are more chances that it would make us want to check it out for ourselves. The same thing goes for marketing. If someone tells us why a certain brand is worth considering, there are more chances of us developing an interest in it as compared to if we just see the brand advertising their product. This industry has only grown since its advent. With studies showing that it produces 16% of eCommerce sales, the same as email marketing does, marketers have realized the necessity of making sure they invest in it. As more and more businesses have started exploring this form of marketing, affiliate networks have been established which make the interaction between the advertiser and the publisher a lot easier. 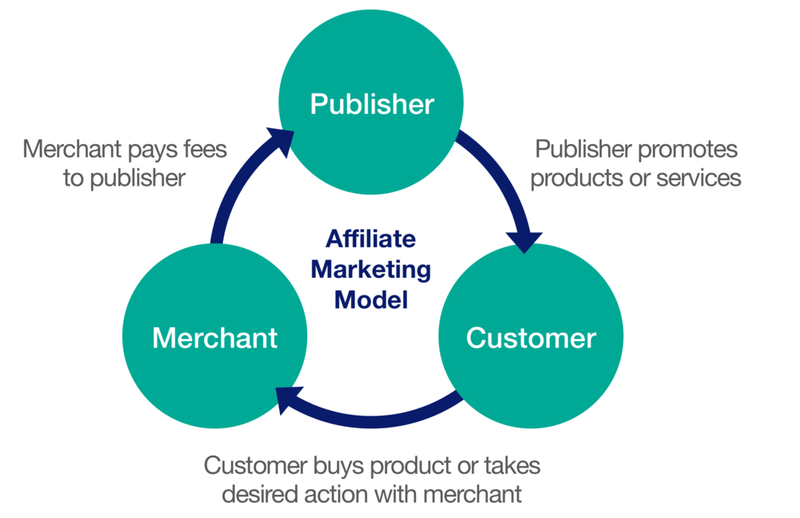 Affiliate networks basically act as a middleman between the two and manage the order taking, purchase, and delivery of the product which has been sold. 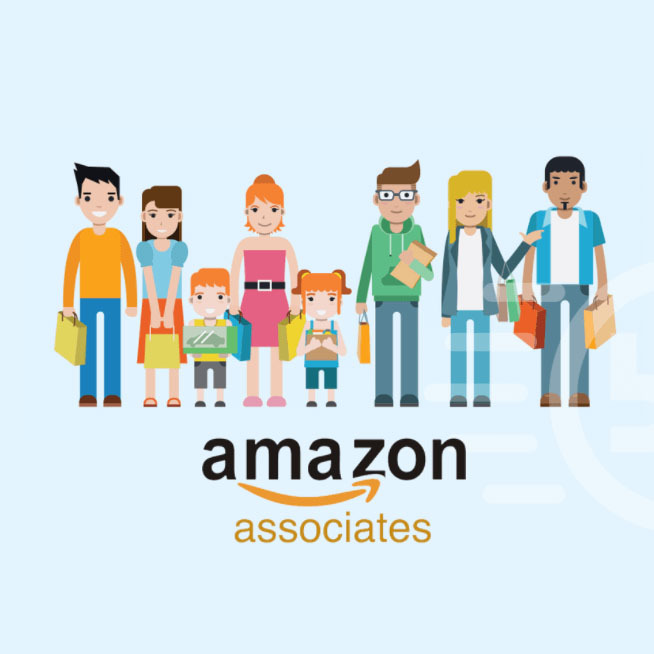 One of the biggest networks is Amazon, which basically allows affiliates or publishers to join the program and post affiliate links on their website. Once someone clicks on the link or makes a purchase, the affiliate gets a commission. This process proves to be more effective for the business, as again, an external website is managing the advertisement of their product. As a business, another thing which you need to have figured out is the payment model you will be going for. Though there is an overabundance of affiliate marketers available, it is still vital to come to an agreement with them on how much they will get paid. No one will work for you if you aren’t offering enough money, yet you don’t want to be spending more than required. This is the most common payment model and basically means that once the sale is made, the advertiser will pay the publisher. This works well for most businesses, owing to a minimal risk as they are not losing anything, and also ensures the willingness of publishers to work with this model in place. For you, it ensures that your money is being spent only once the reward has been confirmed. These terms are relatively self-explanatory and although they aren’t as popular as CPA, they are still used by businesses. Whenever a potential customer clicks on a link that leads them to your website or takes any other action that qualifies them as a lead, such as subscribing to a mailing list, the affiliate gets paid a certain amount. This suits the business as well as the publisher. These payment models are more applicable to businesses where a direct purchase isn’t always possible based on what the consumer is seeing online. This is another payment model that businesses like to go for, as not only are they getting the leads and sales they want, they only have to pay a set amount. Do You Need Affiliate Marketing? Now that we have discussed what affiliate marketing is and how a business can incorporate it into their marketing strategy, let’s talk about why investing in this mode of marketing has become so beneficial to most businesses. As everything seems to get more and more expensive in our lives, literally everyone is looking for cheaper solutions to their problems. The same applies to businesses looking to market their products and we’re sure it applies to you too. One solution is already available to you in the form of affiliate marketing. The best thing about this strategy is that you are paying the commission after you’ve gotten something in return. When we talk about a billboard or a television ad, we are required to pay in advance to place the advertisement, having no prior knowledge of how well it will perform and if it will even get the required attention. By using affiliate marketing, you don’t have to worry about this at all. No matter which model you go for, you will always be paying the affiliate only after getting confirmation of a sale, click or lead. 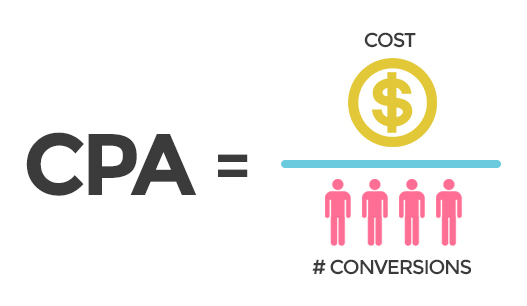 Though the CPA model proves to be the most beneficial in this aspect, the other payment models are also based on the very same concept. Ultimately, this leads to a greater ROI and higher productivity. There are several forms of advertisement that cannot be tracked. This doesn’t apply to affiliate marketing. With businesses investing large amounts in their marketing programs, tracking where the money is going and if there is a return on the investment has become crucial for any business. Letting your finances go to waste by investing in a marketing strategy which isn’t paying off can have serious repercussions. However, this can be avoided when we talk about affiliate marketing. Advertisers can track and, thus, analyze the progress, making it easier for them to understand how to proceed in their marketing strategies. Advertising your brand can be a difficult process in terms of the designing and planning that needs to be done. You can escape this by using affiliate marketing. Once you have decided on an affiliate marketer, it becomes their job to find ways to advertise your product in the most effective manner possible. Because the number of sales you make will decide how much the affiliates will get paid, there is no room for error on their part. They will come up with strategies which garner appropriate attention and get them the sales they need to get their commission. As you don’t have to focus on this aspect of the business, you then have enough time to focus on developing other aspects, which works in your favour in ways you could never have imagined. Large companies don’t make affiliate marketing their only option and their campaigns often encompass multiple forms of marketing, but for smaller and newer brands, this method can get the right kind of attention and that too at a very fast rate. The number of potential customers you are reaching through your social media page, for instance, is probably quite limited. By investing in affiliate marketing, you will cover a much larger potential customer base. Your marketers will have some sort of following which will, in turn, give you access to more people than you could have reached on your own platforms. This can prove to be invaluable as your product may be good enough for your loyal customers to stick with your brand, but you can’t just rely on their experience to get you more customers, which is obviously something every investor looks for. Along with saving money, the other thing we all try to do is to save time. Affiliate marketing lets you do that because it basically gives you results much faster as compared to a billboard or a blog post among other things. If an affiliate marketer is promoting your product, they are investing more energy than you can within a given period of time, thus ensuring you see better results, much sooner than you anticipated. Businesses are faced with never-ending competition, due to rapid changes in the industry they belong to. In such a situation, a top-notch marketing plan is what makes the difference. Affiliate marketing proves to be an option which has very little risk attached to it, thus making it a strategy that businesses should seriously consider investing in. Paired with other components and strategies as part of a top-notch marketing plan, it can take your business to new heights.